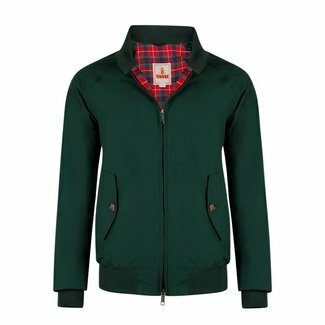 Baracuta Harrington G9 Red is a stylish Jacket Men's jacket ..
Baracuta G9 Green is an icon from the collection of this bra..
Baracuta G9 black is an icon from the collection of this bra..
Baracuta G9 navy is an icon from the collection of this bran.. The Baracuta is the best, premium quality Harrington Jacket available, with all Baracuta G9 original jackets being still made in England. 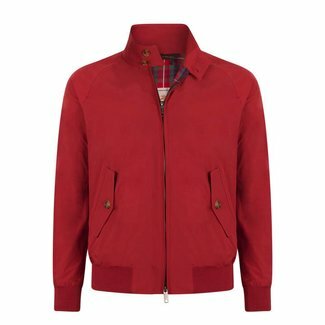 The Baracuta G9 Original is made with premium quality water repellent poly/cotton Baracuta cloth outer fabric and Coolmax cotton/poly in the iconic red Fraser Tartan, exclusive to Baracuta jackets. Zip fasten, with classic double button collar, 2 flap pockets and unique 'Umbrella' pointed vented reverse. 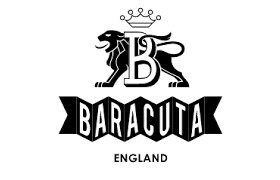 Baracuta is the first and last word in Harrington Jackets.